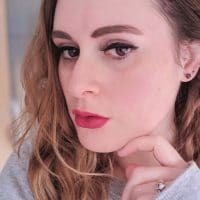 So I’ve previously written about my makeup storage, which you can read here, if you’ve not read it before. This was all going well and fine, until I decided to tip my lipsticks out onto my bed to try and find a specific one, not realising that the lid of one of my lipsticks had fallen off. Cue hot pink lipstick all over the light grey duvet cover and over all my other lipsticks. Cleaning that mess up is half an hour I’m never going to get back! 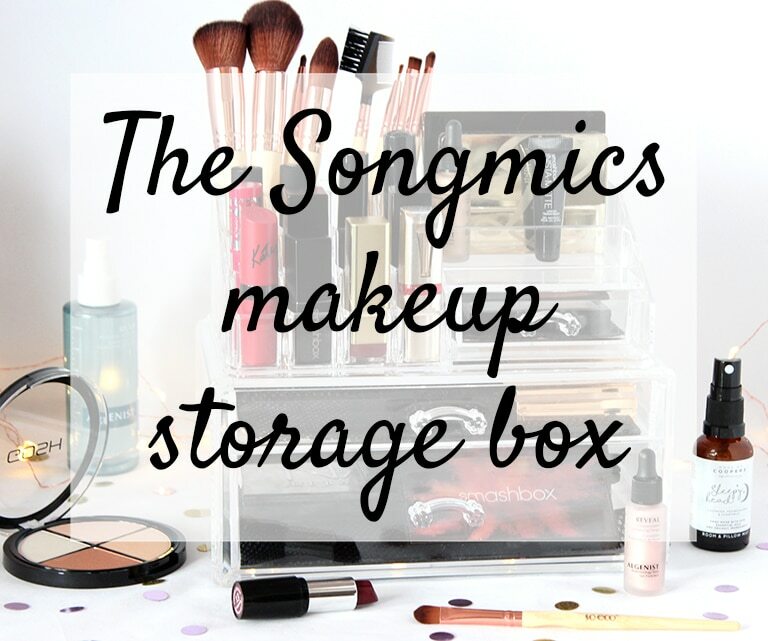 !After that fiasco, I decided to switch up my storage a little and keep some of my most used (and most likely to cause a massive mess) makeup in this sleek acrylic storage box from Songmics. The storage unit can be split in two or stacked on top of each other, which is great if you’re short of space, or if your boyfriend complains that your makeup is everywhere and taking over the “whole entire” bedroom!! 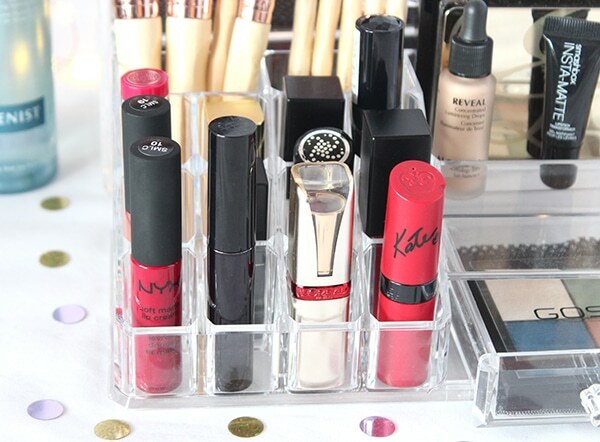 The top unit has space for 12 lipsticks at the front; so I have all my autumnal ones out in easy reach (oh and that annoying bloody pink one too!) and a gorgeous red (Monte Carlo) from NYX. To the right there’s another little open compartment for things like a mini nail file, tweezers or a mini blending sponge; however, I popped my Estée Lauder blush and GOSH palette in the back and my Algenist Luminizing Drops and my Smashbox Instamatte in the front! 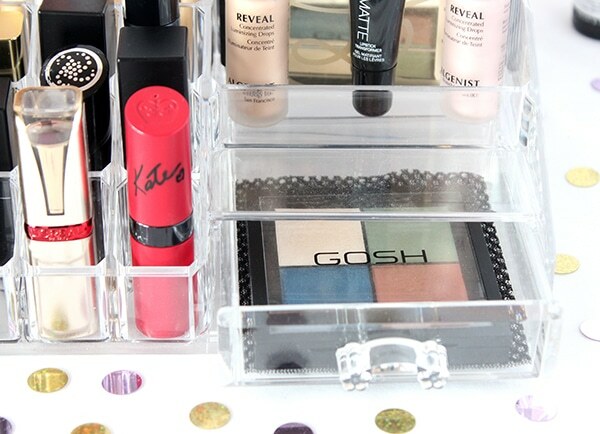 Underneath, there’s a tiny drawer; perfect for my GOSH Eye Xpression palette 🙂 As you can see, all the drawers come with black rubber mats that stop makeup from moving around when I#m opening and closing the drawers! Even better is that they’re removable in case you get makeup on them and they need to be cleaned! *This makeup storage box was kindly sent to me but views, and the makeup, are my own. 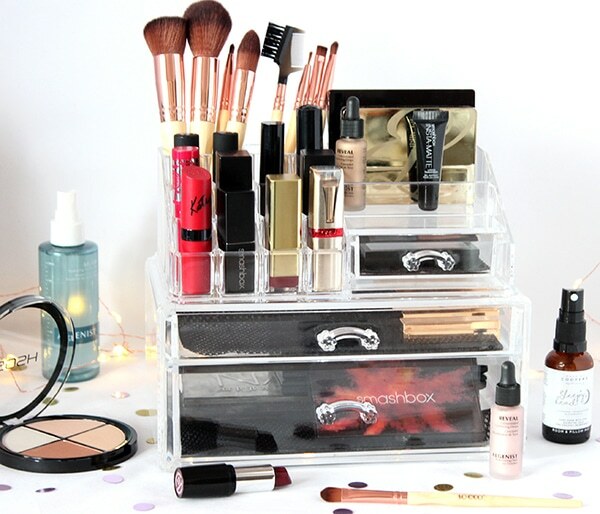 I would fit about five percent of my make up collection in it! I have two whole drawers full! Haha! 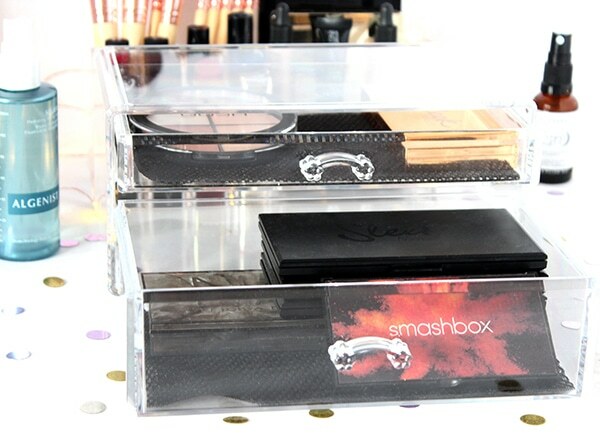 I’m desperate for some extra make-up storage so this would really help me out!! 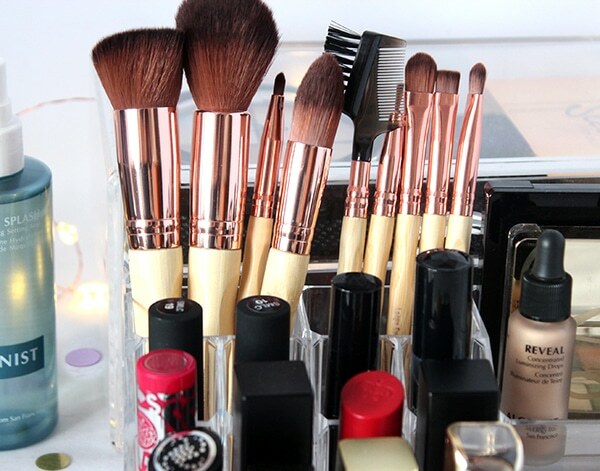 Not sure it would all fit but my fave lipsticks, brushes and important bits like foundation definitely would. 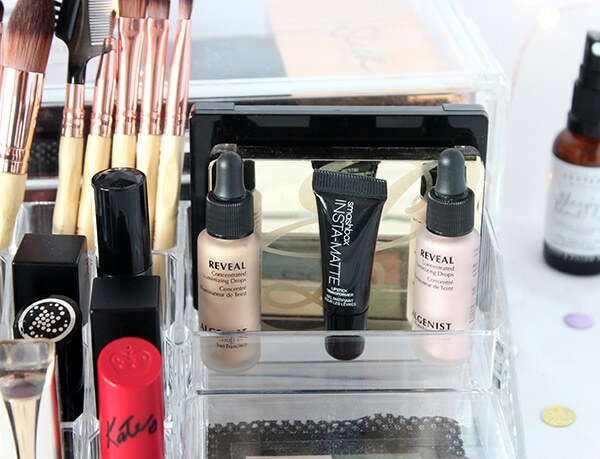 I would store my most used essentials here for quick makeovers. All my daily essentials would fit in this it’s so pretty! Maybe half would fit. I just have so much! Most of it is good lol!